Want to see dolphins, rays, jellyfish and more? 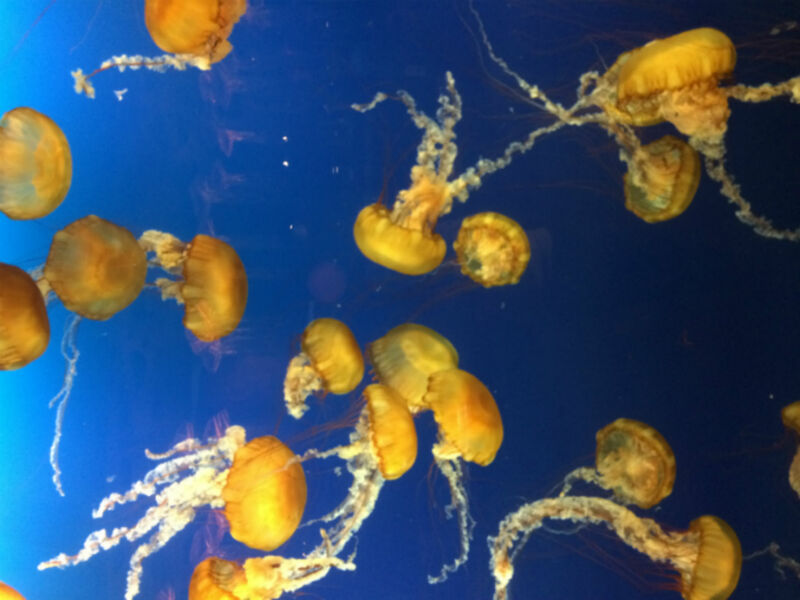 Visiting the Vancouver Aquarium will teach you a lot about BC’s and the worlds sea life and you can come up close with fascinating animals you don’t usually get to see. We visited the Aquarium with our group of Young Learners and had a great time. We took bus 19 from Burrard that drops you off in Stanley Park and only a 5 minutes walk from the Aquarium. Bring your student card when you go and you will pay $30 instead of $39! Divided into different sections you can see fish and jellyfish living in different oceans of the world and they even have a tropical section where you can see a snake, a sloth and little monkeys. I didn’t expect them to have so many different kinds of animals and you can learn a lot about sea life by visiting. At certain times you can see a dolphin show and they even have a 4D cinema, so there is lots to do and see. In between some shows we spent some time at the restaurant and café and regained our energy. After that they opened the basement and we could touch Rays. They felt slimy but it was such a great experience. Located in Stanley Park, the Vancouver Aquarium is easy to reach by bus and you can combine your visit with a walk through the Park enjoying great views on Vancouver, Lions Gate Bridge and North Vancouver. Interested in TOEFL? Take a TOEFL test in Vancouver!